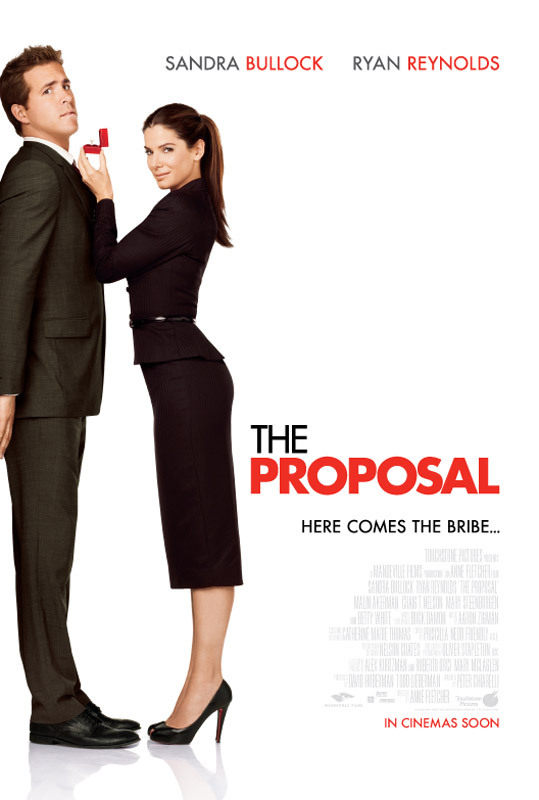 First of all, I am an avid fan of Sandra Bullock so liking this movie, The Proposal, is a no-brainer for me. Though I must admit that the storyline is a bit shallow and really bizarre, somehow they were able to make it work. The more complicated it got, the more interesting on how things will turn out. It never cease to amaze me with Sandra’s comedic punch-line together with Ryan Reynolds‘ contribution. It’s just perfect. Sandra plays Margaret Tate, the headstrong editor who had a dilemma about her working visa in America. Ryan plays Andrew Paxton, who is the assistant of Margaret and a struggling writer who got caught up in Margaret’s whirlwind of dilemma in getting married by force. They somehow takes you away from the plot and just enjoy their acting. I must admit that the scene from the woods, where Sandra and Betty White did a chant that led to a dance routine for Sandra was a tad bit tacky. It can definitely do without. Betty plays Grandma Annie, Andrew’s grandmother. The ensemble is a perfect cast and in his and her own way contributes to the magic of humor. Mary Steenburgen plays Grace Paxton, Andrew’s mother. Craig T. Nelsen plays Joe Paxton, Andrew’s father. Even Oscar Nunez who plays Ramone is hilarious. It’s sad thought that Malin Akerman who plays Gertrude, Andrew’s childhood sweetheart. She lacks exposure in the film and her role is very short it’s considered as a cameo role. And Denis O’Hare who plays Mr. Gilbertson, who works for immigration, was not playing a funny role but please wait for the end credit to see how funny he is. One of the things that made me laugh out loud was when Margaret needed to use the internet and when they went to the town’s internet cafe (in Alaska), it was still the old type of router where you need to insert coins to work otherwise it’ll get disconnected. Certainly we can all relate to that. Another would be when they first met Mr. Gilbertson to discuss their plans of marriage. Margaret’s reaction to find out that the family of Andrew lives in Alaska – priceless. Another would be when Margaret tried on Grandma Annie’s wedding gown – totally cracked me up. As far as entertainment value, it’s worth it. If you’re after having a good time and not pay attention on the storyline, you will certainly enjoy the film. It’s a movie that you’d like to watch every now and then if you want a good laugh. It could be a family movie but do expect the young viewers to ask about why do they need to get married. The technical answers for this may not be suitable for children.